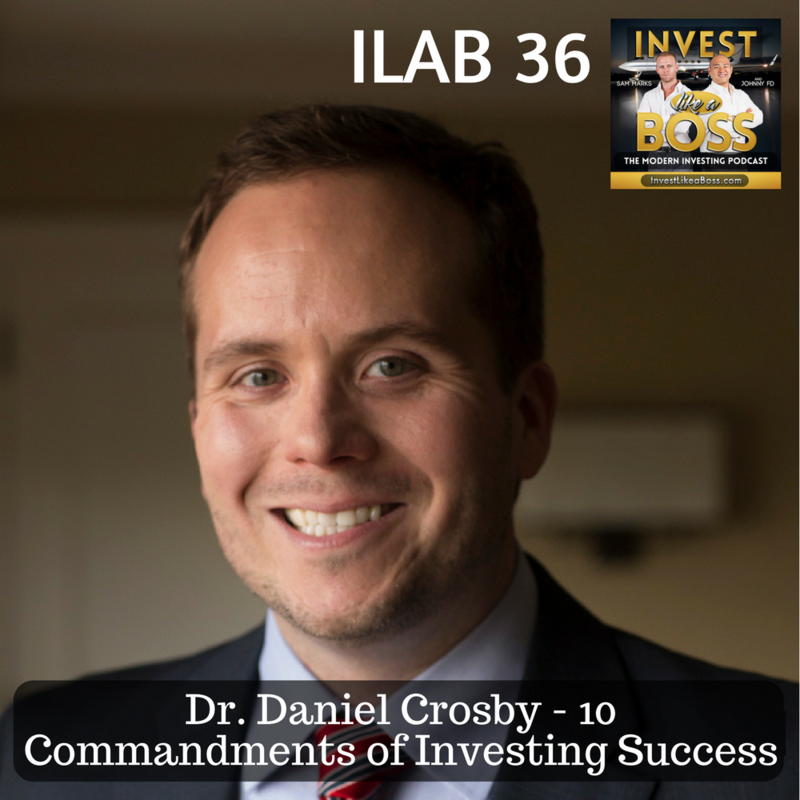 Daniel Crosby is a PHD, and Psychologist, and behavioral finance expert who helps organizations understand the intersection of mind and markets. He joins us on this episode to discuss the 10 commandments of investing success he outlines in his New York Times Best-Selling book titled “The Laws of Wealth: Psychology and The Secret to Investing Success”. In this episode, we learn from Dan’s experience and research while drilling down on finance through the lens of psychology. We also learn about Dr. Crosby’s perspective on the financial advisory industry, where it is going in the future, and how robo-advisors are changing the marketplace. Listen to ILAB 36 on iTunes here or subscribe on your favorite podcast app. If you guys are interested in Betterment or Wealthfront (Robo-advisors) you can try them for free with our links below. You control what matters most. If you’re excited, it’s a bad idea. Your life is the best benchmark.